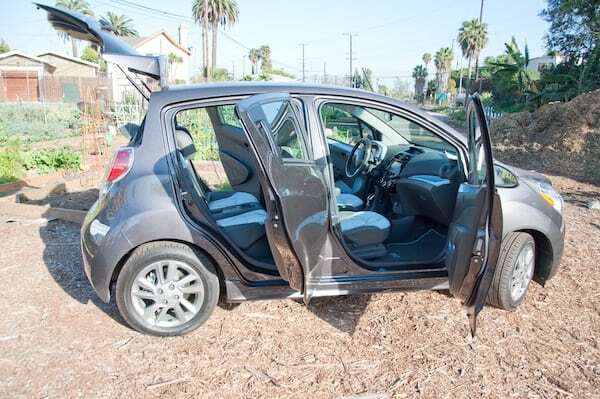 The GM Chevy Spark EV is one of the most fun to drive electric vehicle (EV) available today. It will impress even the most blasé with its frank accelerations and interior space. It quickly became one of our favorite EVs and the next generation is shaping up to be as good update. 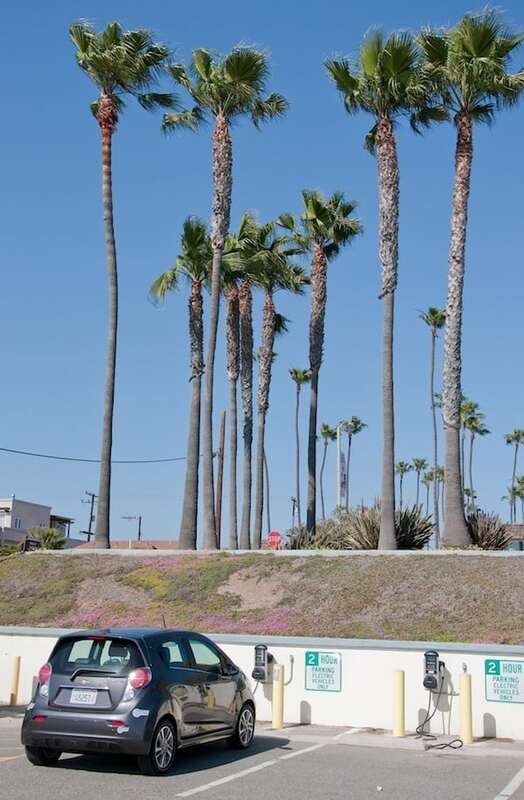 We drove the Chevy Spark EV for 7 days, in sunny conditions in Southern California. This is one of the zippiest electric cars available today, and is comparable to the Honda Fit EV and the BMW i3 in terms of acceleration. We loved driving it, especially on highways where we couldn’t get enough of its acceleration surges. This car is oodles of fun to step on its accelerator and feel that giddiness in your stomach. It just keeps on going and we simply couldn’t get enough of it. Merging on the right lane never failed to etch a smile on our faces. We surprised more than a few cars with looks of disbelief. An EV can accelerate that fast? Of course, it has an electric motor. One of the best feature this EV has is accelerating on highways, where all the sudden, you realize you are doing 80 MPH without effort in no time. It’s one of the quickest EVs out there, a testament to GM that shows it can do more than match the competition when it puts its head in the game. 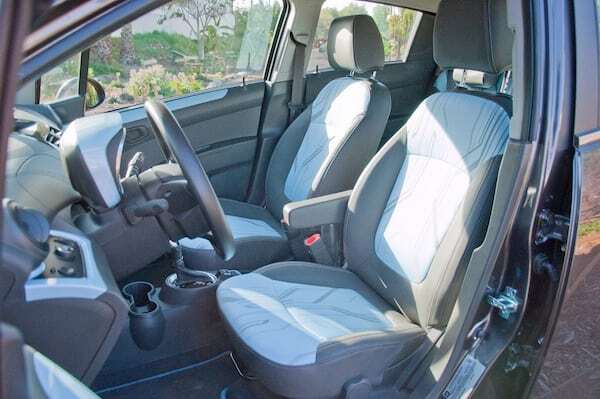 The Chevrolet Spark EV is similar to the Honda Fit EV and the Fiat 500e in terms of acceleration and to the Nissan LEAF in terms of space and roominess. The 2015 Chevy Spark EV is already getting a lot of attention from GM. The A123 battery pack will be replaced by a LG Chem, the same company that supplies the Volt and ELR’s current pack. Aren’t you happy you leased it? While it will be assembled at GM’s Brownstone Battery Assembly Plant, keeping all three cars, the Spark EV, Volt and ELR uniformed makes the most sense for the company, at least financially. The best part about the new pack is that GM offers you the same range despite using a smaller battery pack. The pack will shrink from 21 kWh to 19 and its EPA range stays the same at 82 miles, with 119 of the so-called MPGe. Another good note is that the car sheds 86 Lbs, with a price of $27,495. 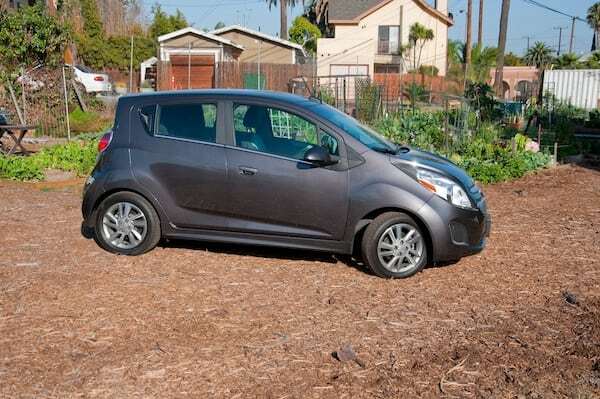 One interesting tidbit is that 2015 Chevy Spark EV will sport a different final gear ratio. It will leave the current 3.17 and adopt the 3.87 one. What this means is that the EV will be quicker to accelerate, but will sacrifice top speed, something that shouldn’t affect its daily use. As far as handling and feel, the Spark EV won’t win any canyon carving contest, but should provide for sufficient fun in traffic situations. In many ways, the Spark EV is what Detroit was historically great at offering, blazing accelerations and we suspect a different choice of tires and subtle suspension tune up should reveal a lot more character from this car. In terms of handling, it is closer to the Honda Fit EV than the BMW i3. It is a small car, so you will feel most of the side winds on highways and especially when over taking larger vehicles. All of this is normal and easily counteracted with the steering wheel. The wind noise was acceptable at highway speed for such a small car. 400 ft. Lbs. of torque, can you say hello torquey fun? Think about it, this little EV has as much torque as sport sedans selling for three to four times as much. In fact, you will surprise a few sports cars and so-called performance sedans with it. With its unassuming manga looks, the Spark EV is perfectly suited for this younger generation desperately needing fun looking cars. 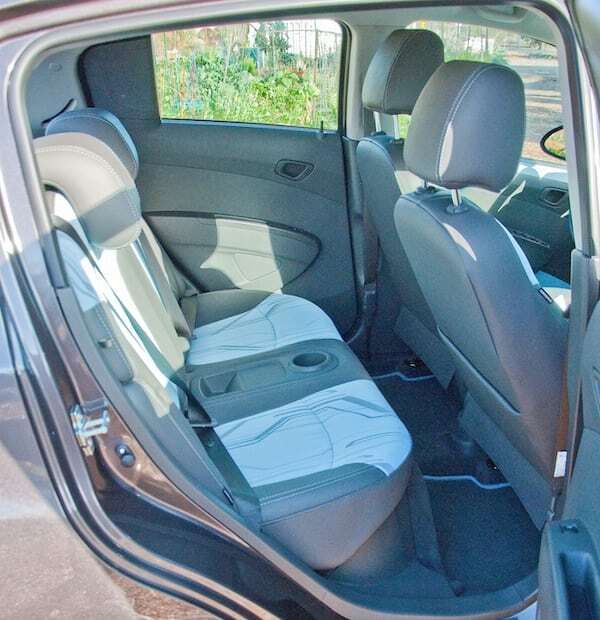 Another impressive aspects of the car is its relative interior roominess. 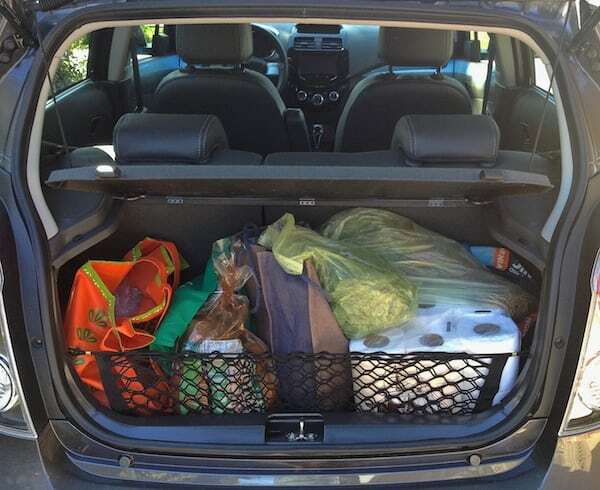 For such a small car, the Spark EV packs a lot of space. Four people can travel comfortably in it, at least as long and as far as its battery pack will bring you. We managed to pack groceries for two, as well as a few vegetables from our garden plot. Its highway energy usage is really impressive. It had no problem keeping the momentum going with as little as 10 kW to 11 at 60 MPH. It jumped to 16 kW at 70 MPH, both speeds and energy consumption were observed on cruise control and in Eco mode. Keeping the momentum going in heavy traffic condition was fun with this car. It took as little as 1 to 2 kW to keep the car rolling along, thus minimizing its battery pack drain. While the Spark EV is a first generation production for GM, notwithstanding the EV1, the choice of a 3.3 kWh on-board charger really makes us feel it is a testbed platform. 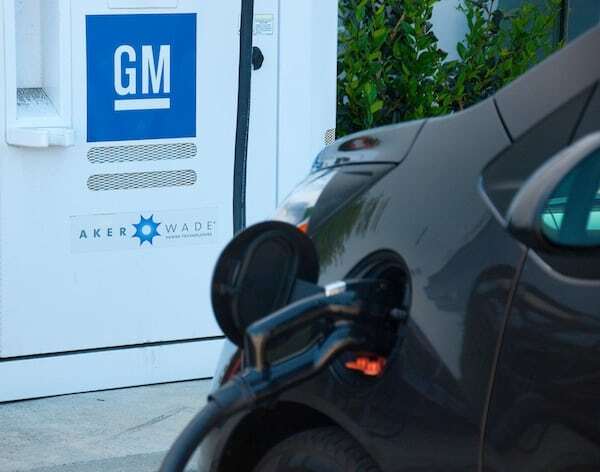 While most EVs come with a much faster 6.6 kWh charger, we felt GM could have sprung for something better. Another puzzlement is the use of the CCS fast charging system only, although we understand the political weight GM is throwing behind this system. 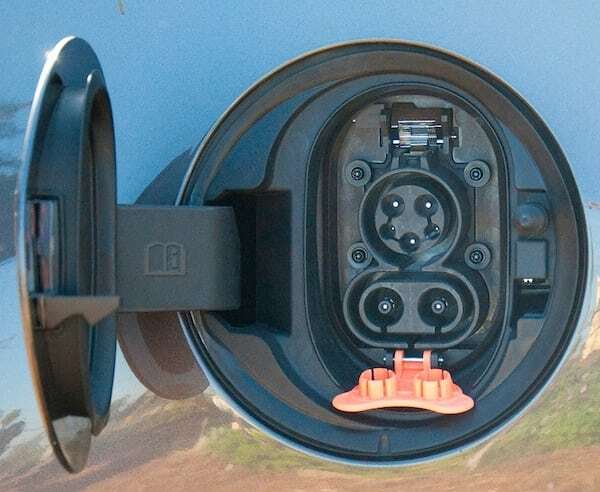 We would like to see a more readily available CHAdeMO system, or at the very least, an adapter to take full advantage of the latter’s wider network of fast chargers. There are a few things you will probably be able to improve in terms of energy savings, such as making sure the Spark EV doesn’t start with its lights on. We found this to not be a waste of energy, especially when you are running low on battery, making your way to the next charger. There is no adaptive cruise control, which not a deal breaker in our eyes. Considering the small footprint and interior roominess, the Spark EV is a great contender in the growing EV market. We particularly liked the interior design with its electronic printed circuit look. In many ways, it caters well to that twenty-year-young something generation. It looks fun and we caught more than a few intrigued stares, whether it was parked on our driveway or driving around town. Sure, it’s only leased in California and Oregon, but its price makes an intelligent alternative to a Nissan LEAF, a Fiat 500e, or a Honda Fit EV. Hopefully, the next generation will be more available everywhere. 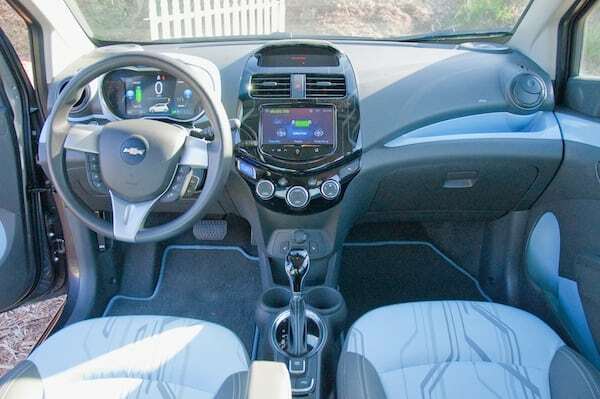 Overall, we rank the Chevy Spark EV one of our top three favorite EVs, and that says a lot from a company that is coming back with a vengeance to reestablish itself as a leader.